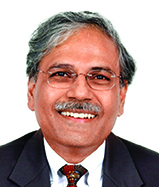 Shekhar Shah is the Director-General of NCAER, India’s oldest and largest economic think tank. Prior to NCAER, he was the World Bank’s Regional Economic Adviser for South Asia. He has worked in the financial services sector in Washington D.C. and has been the Ford Foundation’s Program Officer for International Economics for South Asia. Shekhar joined the World Bank in 1989, where he was also a principal author of the 2004 World Development Report. He has published on a range of issues relating to service delivery, governance, poverty, international trade, social policy, and monitoring and evaluation. He received his PhD in Economics from Columbia University.